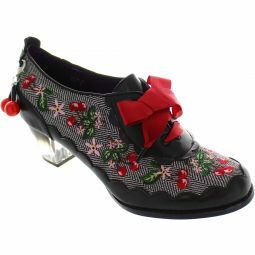 Featuring a chunky mid heel, roses fabric upper with polka dot section and a brogue toe detail. Add a romantic edge to these everyday wear mid heels. 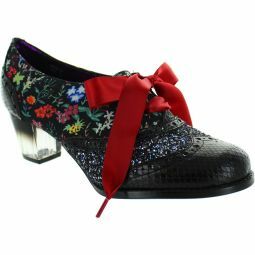 Mid heel. Love heart detail lace ups. 5cm (2 inch) heels.